Patient-centricity is rapidly becoming the central theme of next-generation healthcare product development. Beginning in late 2015, DIA, in collaboration with the Tufts University Center for the Study of Drug Development (CSDD), initiated research we titled the Study of Patient-Centric Initiatives in Drug Development. The goal of this ongoing research is to quantify the benefit of engaging patients in all stages of healthcare product development. This article will share initial insights we have gleaned from our patient-centricity study. Our research study has been in progress for over 18 months and has provided a number of directional answers to both the “why” and “how” questions around moving toward true patient-centricity. 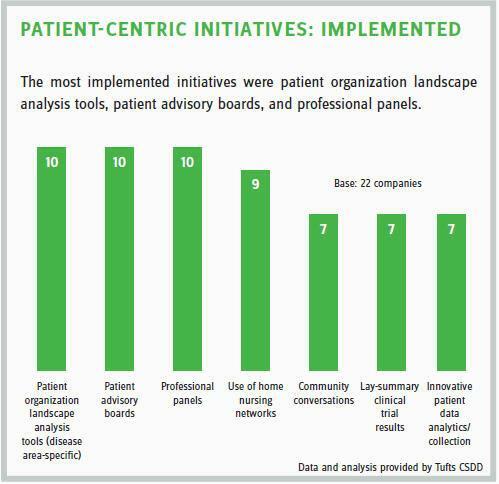 WHAT BENEFITS DOES PATIENT-CENTRICITY OFFER MY ORGANIZATION? While the study uncovered dozens of metrics currently used by industry to assess impact, most are not uniformly defined or generally accepted across product development processes. However, we gathered enough data to show likely correlation between low-cost engagement initiatives and greater return on investment than high-tech and more expensive efforts. For example, data showed that clinical trial performance can improve when patients are engaged in protocol development. Obviously, patient-centric processes allow industry to better understand patient needs, values, and priorities. Further, patient input better informs industry as they study benefit-risk preferences and then respond to those patient insights by providing better therapies to treat their disease or improve their quality of life. Patient-centric initiatives (PCIs) also open channels of communication between industry and patients that benefit both sides. For example, distribution of information to patients for safe and rational use of treatments is much easier when the path of communication has already been opened. PCIs may also make Patient Advocacy Organizations (PAOs) more aware of the challenges faced by industry in the healthcare product development process and give them a better understanding of industry’s needs and how they can meet them. WHAT KEY INITIATIVES STRUCTURED YOUR RESEARCH? While the primary focus of the research was identifying and validating metrics that assess the impact — or return on engagement (ROE) — of patient-centricity, we knew that we needed additional information to support the adoption of patient-centric processes. The research, therefore, included gathering data on types of PCIs implemented, piloted, and planned to look for trends; characterizing management practices and organizational models to see if there are any correlations between internal structures and PCI implementation; and gathering guidance from regulators and frameworks from other sources that might address the “how to” part of PCIs with the hope of providing some recommendations on standardizing processes. What we found is that the adoption of patient-centric processes is still so new that no standards or best practices exist yet. However, those organizations that have ventured into PCI waters are learning by doing and capturing those learnings for future use. WHAT ARE THE COMMON CHALLENGES EXPERIENCED BY COMPANIES IN STARTING PCIs? Allocating resources/roles to support patient engagement is a challenge — especially given that patient-centricity is a completely new way for industry to interact with the people who are most directly impacted by their products. Not only do organizations not budget people or resources to support PCIs, but the individuals tasked with initiating PCIs often don’t have the authority to ensure that these often revolutionary new processes are actually implemented. There are many important challenges that must be addressed in defining how the organization will effectively interact with patients and PAOs across the product development life cycle, from developing clear guidelines around interactions and communication processes to addressing the real-life logistical barriers that patients must navigate when participating in a clinical trial. So, having dedicated resources to make this happen helps ensure the success of the PCI. HOW CAN I PRACTICALLY APPLY ALL OF THIS? There is no “one-size-fits-all” approach to patient-centricity. DIA realized this early in our research and early in our own experience engaging patients and their PAOs. We developed a tool to assess the different maturity levels and resources of PAOs in our Patient Advocacy Lifecycle Model (PALM). This general framework can also help industry understand the evolution patterns and needs of PAOs as they evolve from a startup to one with the right resources and understanding of the healthcare product development life cycle to truly partner with them. As part of the research project, DIA also assembled a Considerations Guide to Implementing Patient-Centric Initiatives in Healthcare Product Development as a more comprehensive tool that industry can use as they launch patient-centric initiatives. As companies answer the questions in the guide, they essentially design their own customized patient-centric program and processes. The PALM and the considerations guide, along with insights coming out of the continuing DIA research study on measuring the impact of patient-centricity, can help jump-start organizations’ efforts to become more patient-centric. WHAT ARE COMPANIES SEEING AS THE GREATEST OPPORTUNITY IN PATIENT ENGAGEMENT WITH HEALTHCARE PRODUCT DEVELOPMENT? After seeing patients as study subjects for so long, industry is now seeing patients and PAOs as partners who possess valuable insights and assets that can meet industry’s needs to improve healthcare product development. Patients and PAOs are more educated and sophisticated than they’ve ever been. 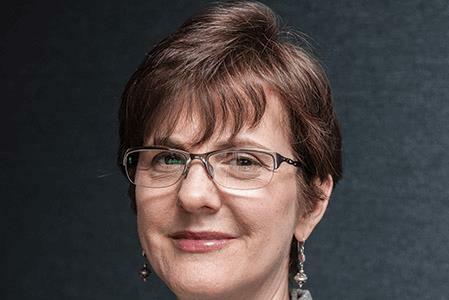 PAOs now offer scientific-quality disease-state data to industry and have become active partners — and in some cases drivers — in the development of new therapies. Therefore the biggest opportunity for companies may be in changing their attitudes and assumptions about what patients and PAOs are capable of doing and the impact they can have — and have already had — on innovations to treatment development. Answers to these initial five questions will help get you started on the path to patient-centricity. Through effective PCIs, healthcare product value and access will improve, and industry will deliver innovative therapies to patients faster and in ways that have clearly considered their needs and concerns. In the next phase of the patient-centricity study, we will examine which models for patient engagement deliver the best and most valuable patient-centric results.